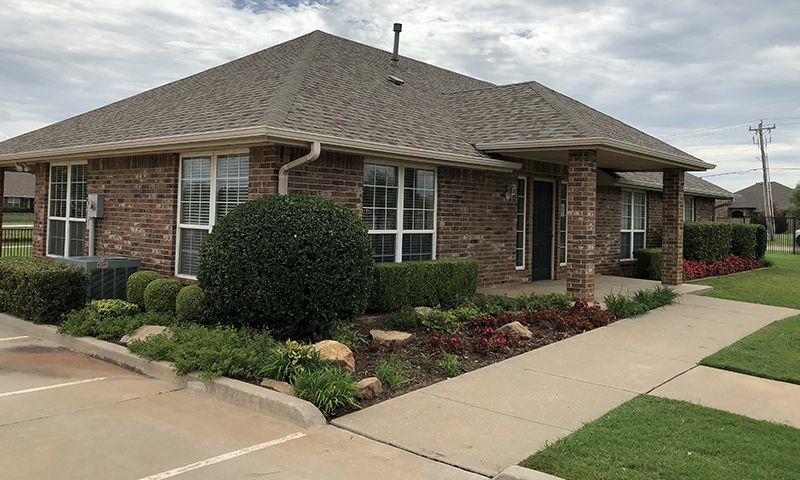 The Villas at Copper Creek is a well-established active adult community in Edmond, OK, a suburb of Oklahoma City. Homebuyers in this community can expect to find homes built from 2003 to 2006 with sturdy brick exteriors and interiors that range from 1,500 to 1,950 square feet and include three bedrooms, two bathrooms, and attached garages. Homes also include covered back patios, landscaped backyards, and open living spaces. This gated community includes a homeowner's association that will provide upkeep and maintenance to common areas as well as lawn services. Inside the gates of this community, residents enjoy the clubhouse with multipurpose rooms as well as outdoor walking paths, ponds, and a gazebo. The Villas at Copper Creek are a 30-minute drive from the downtown area and the state capital of Oklahoma City. Oklahoma City offers residents wonderful opportunities to explore the outdoors, attend an Oklahoma City Thunder game, and even visit The National Cowboy & Western Heritage Museum. Residents can also find establishments such as Walmart, and Crest Foods, Inc. within a 10-minute drive of the community and OU Medical Center is only a 25-minute drive away. If you have been searching for a community with a Mid-Western feel, The Villas at Copper Creek might be for you. Check back soon for more information on the lifestyle in The Villas at Copper Creek. Check back soon for more information on the model collections and floor plans available in The Villas at Copper Creek. 55places.com is not affiliated with the developer(s) or homeowners association of The Villas at Copper Creek. The information you submit is distributed to a 55places.com Partner Agent, who is a licensed real estate agent. The information regarding The Villas at Copper Creek has not been verified or approved by the developer or homeowners association. Please verify all information prior to purchasing. 55places.com is not responsible for any errors regarding the information displayed on this website.